I guess that most of us would want to be seen by others as successful. We’d like to be able to say that we have made something of our lives. None of us want to be seen as a failure. Is it climbing to the top of the social ladder? Keeping up with the Jones=s? Getting promotion at work? Moving to live in the better area of town? Being liked by everyone? How have you gone about achieving success? … Our OT reading used the phrase, “I have set my face like a flint.” How might we phrase that in today’s language? – Go for it, no matter the cost – Climbing over dead men’s bodies – The end justifies the means? Ambition, determination, wholehearted commitment to our goals. Quite good things in themselves. Often, however, when our hopes for ourselves conflict with the interests of others we can produce all sorts of justifications for less than generous attitudes and actions. Our readings speak about wholehearted commitment. Peter confesses that Jesus is the Messiah, the Christ. Immediately Jesus turns to his disciples and explains his deepest commitment. This is a turning point in the Gospel of Mark. It is almost as though a dark cloud blots out the sun. Everything seems wonderful in the story until we reach chapter 8 of Mark’s Gospel. For the disciples, it has been wonderful following Jesus. Now, darkness and danger looms. Jesus speaks about his death and he sets his face like a flint towards Jerusalem, nothing is going to stop him fulfilling God’s will – nothing will deflect him from the path of the cross. In his letter, James highlights how easily our tongues lead us into hypocrisy. We say one thing and do another, or we say one thing in church and something completely different in another context. He challenges us to be consistent in our commitments, to walk the walk as well as talk the talk: to be those who live out their Sunday faith on Monday, and Tuesday, and every day of the week. In our reading from Isaiah , the Suffering Servant, sets his face like a flint into the suffering that is coming his way – confident of God’s help to endure. There’s no disgrace, no shame, in the torture he faces because he knows that he can trust God for his future, for his ultimate vindication. How strange and different these attitudes are. How different to our own attitudes? We’ve learnt to see weakness is shameful. Success in the world’s terms is important to our sense of self-worth. We don’t like all this talk about denying ourselves and about taking up our own cross. We cannot be seen to fail, even if that means that we need to put others down. Success, for Jesus, was all about failure and shame. Somehow, in some way that we find difficult to explain, evil spends itself like waves crashing on a beach, when it meets Jesus at the Cross. The message of the cross is that evil is ultimately defeated in our world not through aggression but through suffering and death. And we don’t like to hear it, we don’t want to hear it. I want my revenge if I am hurt, I want those who hurt me to suffer and to the extent that I give in to my desires, I feed the cycle of unease and distrust. 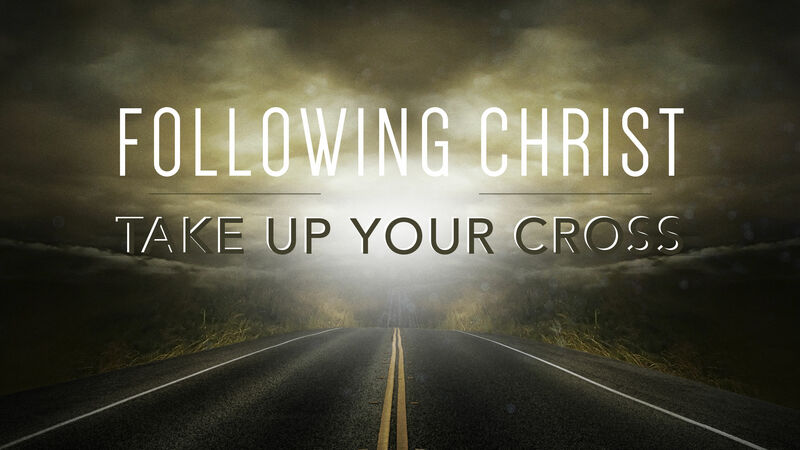 Jesus calls us take up our cross, to bear shame for the sake of the kingdom, not to retaliate. We are called to set aside self-protection and look to the interests of others – to deny ourselves. We are called to walk with Jesus on the way of the cross – most often in the smaller things of life – the petty disagreements, the small misunderstandings. Says Isaiah – we need the ‘tongue of a teacher’ – the openness that doesn’t hoard knowledge (because knowledge is power) but shares it with others. Openness that shares ourselves with others. Openness which allows us to share the glory and praise with others. Openness that makes ourselves vulnerable so as to lift others from their weariness. Words of encouragement rather than gossip. Building not destroying. No. … It was because Christ was open to others, vulnerably sharing himself with them listening to their needs, that he set his face like a flint to the cross. Because he was aware of others – he chose suffering and death. The challenge for us is to be so open with others that we are prepared, ultimately, if necessary, to set aside our well-being, our comfort, so as to meet their needs. A very different measure of success! This entry was posted in Ashton-under-Lyne Blog, Comment, Shame, Grace, and the Cross on September 13, 2015 by rogerfarnworth.